Markeletta Wilson lost out on an apartment in Renton last year because of a decades-old drug possession charge. The criminal record was so old that Wilson had forgotten about it, but RentGrow, a tenant screening company, dug up the old record and recommended that a Renton landlord reject her application. Convictions older than seven years are off-limits to background check companies, according to state and federal law (“Checks and Balances,” RC, May 22, 2013). Now, Wilson and 272 other people who had similar experiences will get a cash payout from RentGrow. The company has agreed to a settlement of a class-action lawsuit filed by the American Civil Liberties Union (ACLU). Washington residents whose RentGrow screening reports included criminal history information older than seven years will receive a portion of the $109,200 settlement. The King County Superior Court preliminarily approved the settlement Sept. 6 and will hold a hearing to finalize the settlement Dec. 13. The settlement only requires the payout and does not set any legal precedent, but it could deter other rental screening companies from reporting old criminal charges, ACLU attorney Vanessa Hernandez said. 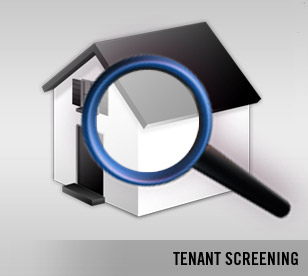 “We hope that the settlement sends a strong message to other tenant screening companies that they need to comply with state law, and if they don’t they may face serious liabilities,” Hernandez said. The background check industry has boomed over the past decade, Hernandez said. Following the terrorist attacks of Sept. 11, employers and landlords increasingly relied on background checks. The ease of and access to the Internet fueled the industry’s demand for information. Around the same time, courts started making their files accessible online. Background checks are now commonplace for housing and employment. According to a study by HireRight, a national background check company, more than 90 percent of employers conduct criminal background checks on new hires. The lack of oversight of tenant screening companies makes it difficult for someone like Wilson to fix her record. By federal law, she can ask RentGrow to investigate and make corrections. But by then the apartment she wanted will likely be gone, and the next landlord she contacts could use an entirely different screening company.